A few years ago the iPhone and iPad were inheard of and yet in a matter of years it has become a ubiquitous part of modern life. Part of the attraction is of course the huge selection of Apps available, it wasn’t long before Apps were appearing to make music and to record and edit audio. Avid have made some small steps into the world of iOS with Sibelius support but nothing for Pro Tools users to date, other brands have tried to do more to give their DAW users an iOS experience when working on the move. So has iOS been the music and audio dream come true for you, or did you dabble and find yourself disappointed? Please complete our poll - we’ve broken it into professionals (those making a living from music and audio) and enthusiasts to see if there are any trends that emerge. Of course, as ever please leave comments to give more flesh to the poll. 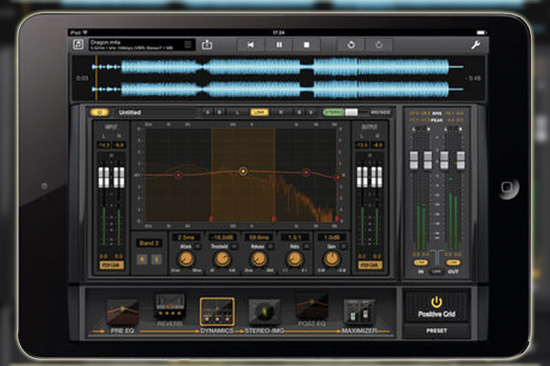 Are You Using iOS For Music Making Or Audio?